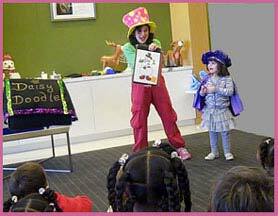 Childrens entertainer Daisy Doodle offers a wide variety of Holiday party entertainment in NYC, including Holiday magic shows, Christmas Elf and Ms. Santa characters, sing-along and dancing, holiday face painting, balloon twisting, craft projects. 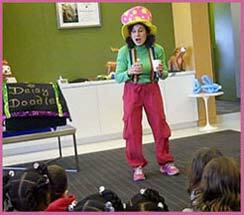 Daisy Doodle also does Hanukkah and Kwanza parties for children. She entertains at holiday parties in New York City, Manhattan, Westchester, Long Island, Queens, Brooklyn, Bronx, NY, parts of Connecticut and New Jersey. 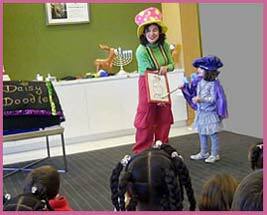 Magician Daisy Doodle's Holiday Magic Show for childrens party entertainment features holiday magic and can be adapted for Christmas, Chanukah, Kwanza or multi-cultural kids parties. 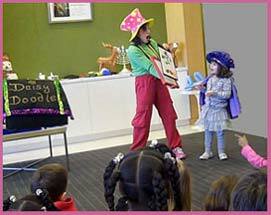 The Holiday Party Magic Show includes storytelling, comedy, costuming, magic volunteers and lots of children's participation. 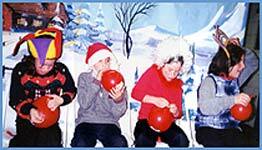 Older kids compete in exciting holiday contests and games (see photos below). 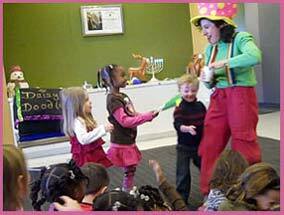 Holiday Magic Show is fun for family audiences as well as kids. Daisy Doodle can dress as an Elf or Ms. Santa character, or in festive holiday magician costume. Also below are photos from first half of a company kids Christmas Party Magic Show with magician Daisy Doodle and her magic show helpers. 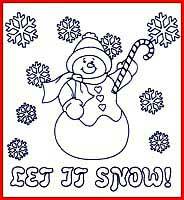 Let's make snow for our Christmas party! Spice up your holiday party with a Christmas Elf or Mrs. Santa character! 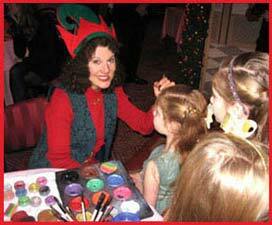 Christmas Elf or Mrs. Santa can help Santa with kids at a holiday party, or do face painting or balloon twisting. 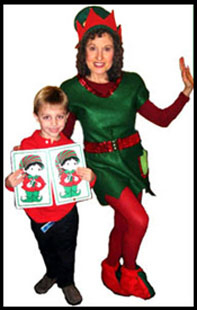 Christmas Elf or Mrs. Santa character can lead holiday dancing or sing-along of favorite Christmas and holiday songs. 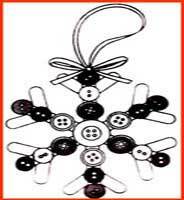 Kids holiday craft projects and Christmas craft projects for children are available too! Fun for private or corporate parties. A holiday party version of Macarena? Yes! Dance to upbeat holiday and Christmas party dance music, including Jingle Bell Rock, Santa Claus is coming to town, Sevivon, Rocking around the Christmas tree, more. 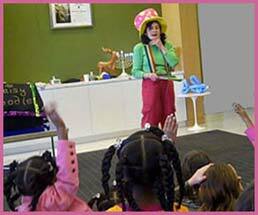 Plus dance to classic kids party dance favorites like the Hokey Pokey, Limbo, the Twist, Conga Line, more. Handouts include streamer wands and hand clackers or maracas for children to dance with. Seasonal presents available for kids and children, including holiday rings and stickers. Kids love facepainting! 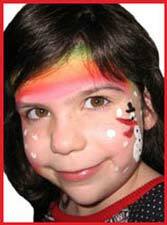 For your holiday party Daisy Doodle can facepaint children with holiday motifs like snowmen, poinsetta princess,Christmas tree, candy canes, or do her regular facepainting. 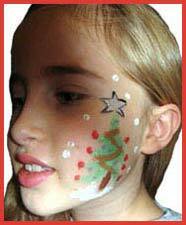 Face painting can be in addition to holiday or Christmas magic show, dancing and music; or just facepainting as a separate activity. Face painting is loved by kids of all ages. 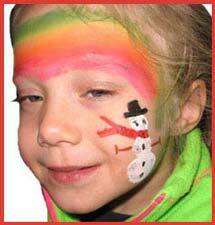 Adults often beg for holiday party facepainting too! 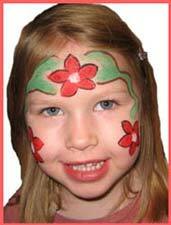 For samples of Daisy Doodle's regular facepainting, go to her Facepainting kids parties webpage. Daisy Doodle leads a sing-along of holiday and Christmas party songs from different cultures, nationalities and religions for a fun and educational experience for children and the whole family. 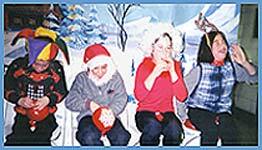 Musical instruments provided for the kids to play along while singing holiday and Christmas songs. Classic holiday and Christmas songs include We wish you a Merry Christmas, Feliz Navidad, Chanukah oh Chanukah, Buon Natalie, Frosty the Snowman, Jingle Bells, more. 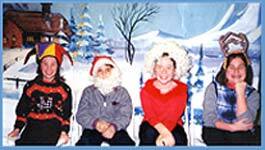 Singing holiday and Christmas songs is a great way to get into the holiday spirit for children and parents too! 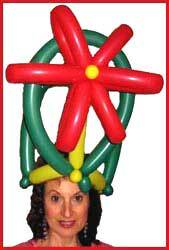 Balloon artist Daisy Doodle twists balloons for Holiday and Christmas Parties in New York and vicinity. 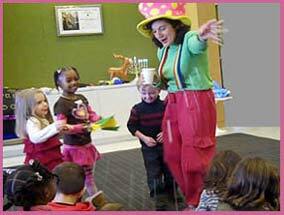 Balloon hats, sculptures, jewelry and balloon animals are popular with both kids and adults. Go to her balloon twisting page for lots of photos of her party balloons. 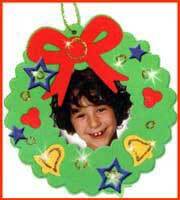 Go to kids party crafts projects page for more information on Christmas, Holiday and Chanukah party craft projects for childrens parties in New York City and surrounding areas. 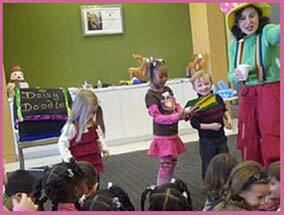 Copyright © 2016 Daisy Doodle Kids Holiday and Christmas Party Entertainment NY. All Rights Reserved.